Home > Sustainable Energy > What is Carbon Offsetting? The term ‘carbon offsetting’ refers to the way that that carbon produced, typically by a journey using a carbon-producing mode of transport (plane, car, train), is compensated for by the individual who took that journey. It is not exclusively used in connection with transport. It is also possible to calculate the carbon output of your house, or office, or even an individuals or a family’s, daily or annual carbon output, and seek to replace that atmospheric pollutant with something that will help to filter it from the environment. This is normally done by growing and planting trees, which absorb the carbon in the atmosphere and replace it with oxygen. Typically, an Individual or family will contact a carbon offsetting company, who will explain the range of services they offer. These will usually be tree-planting schemes somewhere around the world, but some offer other options. A relatively new term ‘carbon sinks’ refers to huge planting schemes that forest vast areas of land, but this scale forestation are normally done for National or Governmental carbon offsetting. The individual or family representative (or company representative) will then buy carbon credits directly from the company, usually but not exclusively, online. Most companies will be able to work out how much carbon was produced, say from a return flight from London to Paris, and the charge to the customer will reflect the work it takes in tree-planting to roughly replace the carbon produced during that trip. 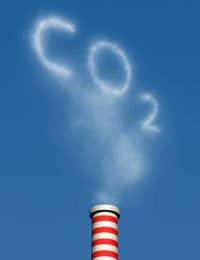 Carbon Offset companies are now proliferating in the UK and in the western world. Most of them are web-based companies, and they and the services they offer are easy to find by doing an Internet search for ‘carbon offsetting’ or ‘carbon offset companies or schemes’. It is a good idea to look into the range of companies and schemes they offer before committing to one and buying personalised services.Think about any preferred issues first. For instance, there may be a tree-planting scheme in your area that you would prefer to support, rather than a scheme millions of miles away. Some companies offer a certificate of purchase and of planting in return for a customer’s money, but some don’t. It is always best to shop around, and discuss with friends and family who already use these schemes.Some environmental or community groups have preferred partner status with some offset companies, and it is worth checking these out first. One option is to bypass the carbon offset companies and do it for yourself. It is possible to buy a piece of land – not so cheap in most parts of the UK anymore, but still possible; and organise regular tree planting on the land yourself. There are websites dedicated to this process, and helping someone calculate just how many trees to plant per amount of carbon produced. Factors worth considering are the regular care and watering of the trees, and getting access to the land on a regular basis. Also the selection of and correct planting of local, indigenous trees is important. Check with a local nursery or specialised tree supplier what is available, and plant with the seasons.If you have a large enough garden, consider planting more trees and shrubs. A family who flies often and long-distance would have to plant more than the average suburban garden with trees to compensate for a lifetime of carbon production, but a combination of planting at home, locally where possible (in consultation with wildlife conservation managers), and occasionally paying for offsetting from a specialised company would probably compensate for the carbon. But remember that nothing compensates for carbon output as reducing it. Is Nuclear Power the Way Forward?